Brilliant news for Xbox 360 gamers: Microsoft has made the announcement that it's going to expand all Xbox 360 warranty cover to three years. Now, any Xbox 360 customer who experiences the dreaded 'three flashing red lights of death' problem will be covered by a three year warranty, no matter when they bought the console. Concerned by a reported 30 per cent failure rate for its newest games console, Microsoft conducted a serious investigation to see just how bad the problem was. As a result of its findings, Microsoft has made improvements to the machine. And it's enhancing its warranty policy for new and, crucially, existing customers too. What's more, if you've already experienced these hardware problems and paid to have your Xbox 360 repaired, Microsoft will refund you the money. This is set to cost Microsoft a staggering $1bn (£500m). "The majority of Xbox 360 owners are having a great experience with their console and have from day one. But, this problem has caused frustration for some of our customers and for that, we sincerely apologise," said Robbie Bach, president of Microsoft's Entertainment & Devices Division. "We value our community tremendously and look at this as an investment in our customer base. We look forward to great things to come." 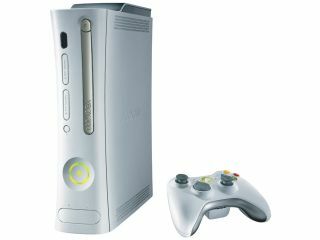 Xbox 360 customers with questions should visit www.xbox.com .